Isn’t it nice to spend time outdoors? Feeling the crisp air brushing across your skin, smelling the pleasant aromas in the surrounding atmosphere, and - for allergy sufferers like me - having your eyes water and nose run uncontrollably (PS. I’m getting allergy shots now to combat this). Back in 2008, the NHL decided to stage a game outdoors in a football stadium, and for a league that was struggling to gain viewership it was a resounding success. Thus, the Winter Classic was born, to be held every year on New Years Day. But you can never have enough of a good thing, right? 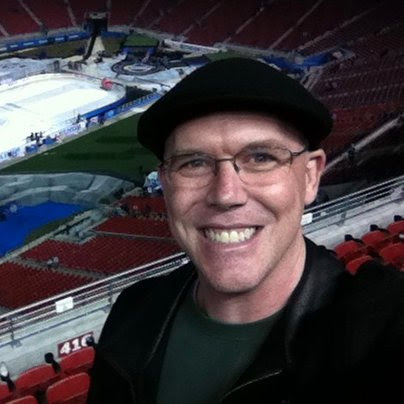 So in 2014, the NHL announced they would add another set of outdoor games, dubbed the Stadium Series, which would allow additional teams (especially those that weren’t big enough TV draws for the Winter Classic) to experience the phenomenon. The inaugural Stadium Series game would be held at historic Dodger Stadium in Los Angeles, featuring the Kings squaring off against their rivals from down Interstate 5, the Anaheim Ducks. It was quite the spectacle, including a beach volleyball court set up near the hockey rink, and a pre-game concert from KISS. As much as I would have enjoyed seeing this, I was actually up the coast in San Jose, to see my first Sharks game. So when the NHL announced the following season that the Stadium Series would be returning to California, I knew I had to go. Even better, this game would be played at a football stadium - Levi’s Stadium in Santa Clara - which offers much better sightlines for outdoor hockey than a baseball stadium. The San Jose Sharks were hosting the Kings, so I convinced my travel companion Chad to join me on this journey, as we booked our flights and hotel room and headed north. - Choosing older players with expiring contracts to move at the trade deadline for additional picks, rather than taking questionable unproven players that would have been susceptible to waivers had they not made the team. We all go through changes - it’s a part of life. But how you face the inevitability of change should help to define you as a person. I’ve always felt that change, in general, should improve me in a way that I hadn’t yet realized, thereby allowing me the chance to see things with increased optimism. Why not learn from your surroundings, especially if it leads to personal satisfaction? I met Charlene in April 2016. Less than a year later, I asked her to marry me. She is a consistent inspiration in my daily life, and makes me want to be the best man that I can be. She is also a blogger, and we even had a lengthy discussion about our respective websites - and writing in general - during our first date. I’ve learned so much by following her example, and in turn she has used her experience to help me get the most out of my blog. 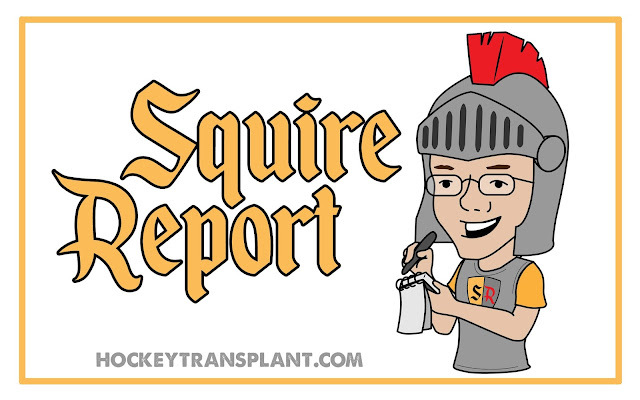 She took it upon herself to design a logo for Hockey Transplant, helping to motivate me to get back on track and write with a purpose. She created business cards for me to hand out, got me to create an Instagram account, and - as one of the greatest birthday presents ever - had a t-shirt made with the HT logo. She also introduced me to her favorite TV show...Doctor Who. While the dictionary describes regeneration as “spiritual renewal or revival”, fans of the hit BBC series know that the word carries so much more meaning. In addition to the spiritual aspects of change, the element of physical transformation is also required when one Doctor transitions into the next - the difference is startling but welcome. The show prides itself of evolution and re-growth (two words: Female Doctor! ), which is something sports fans should be used to by now. Whether it’s something as simple a rule change, or as drastic as a beloved player (or even team) changing locations, we’ve become accustomed to progress whether we like it or not. But what about changing the internal thought process that goes into being a sports fan itself? Could there be physical changes which might be induced at the same time?